Thank you to KORE Essentials for providing me with product, in exchange for my honest review. All thoughts and opinions shared are my own. If you have a dad, boyfriend, or husband, you have probably heard them complain about their wallet. Both my dad and my husband constantly complain about their wallets hurting their rear ends when they're driving, or sitting down for long periods of time. The problem? Their wallets are big and bulky, taking up so much room that they sometimes can't even get them out of their pockets! The solution- KORE Essentials! In 2012 we set out to redefine men's accessories. Our simple approach >> blend innovation with superior quality to create better, more exciting products that exceed expectations. My husband and I are big fans of KORE Essentials. We reviewed their Trackline Belt a while back, and it's been my husband's favorite belt! I mentioned to my mom how much he loves the belt, and thought she might like to give one to my dad for Christmas. KORE products are quality products. They're innovative, and so well made! They are handsome, sleek designs that guys will really love and appreciate! We received a new product from KORE, a slim wallet. I was really excited about receiving this wallet, because I have been looking for slim wallets for my husband and my dad. KORE products are beautifully made, and are very nice looking. The Slim Wallet came packaged in a drawstring bag. I loved the simple packaging. It's perfect for the minimalist guy. No wrapping, no waste! The bag can be used to store the wallet in, or could be used for some other thing. You could even reuse it to gift something else! The handsome Slim Wallet is a great size, and simple in design. This wallet design allows you to have two wallets in one! There's an inner pocket, which has enough room to hold important cards. The money clip is the perfect place for keeping your bills organized. Smart pull tab gives instant access to main pocket (8 cards) without digging, plus additional easy access front pocket (2 cards). The wallet also comes with an integrated carbon fiber money clip! A two in one gift that any guy would appreciate! This wallet is super slim, and won't take up a ton of room in a pocket. The best thing beside the slim design, is that it gives you easy access to your money- your cards, and your bills. No more digging through an overcrowded wallet for the cards you need. Look at how super slim this wallet is! There's more room than you think inside of the KORE Slim Wallet! If you are looking for a sharp and sleek gift for a guy in your life, be sure to check out the KORE Slim Wallet + Carbon Fiber Money Clip! > First-ever men's Slim Wallet with removable Carbon Fiber Money Clip. It’s like having 2 wallets in one. Get rid of your bulky wallet and go slim. > RFID (radio frequency ID) blocking main compartment keeps credit and ID cards safe from ID scanning & theft. > Full-grain leather and military-grade carbon fiber. This men's minimalist wallet does more than just look good. > Smart pull tab gives instant access to main pocket (8 cards) without digging, plus additional easy access front pocket (2 cards). This is the perfect gift option for the guy that's hard to buy for! This is a gift that'll be used and appreciated by any guy you might need to still find a gift for. Head on over to KORE Essentials to browse all of their wonderful men's accessories. They have handsome leather belts, wallets, as well as belt buckles and other accessories. Connect with them through Facebook, Twitter, Pinterest, and Instagram. 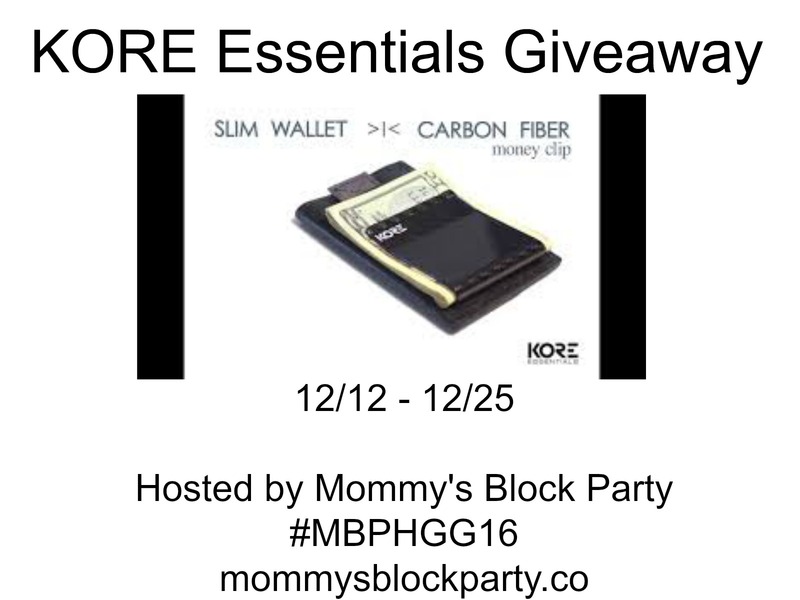 One lucky MBP reader will win their own Slim Wallet and Carbon Fiber Money Clip from KORE Essentials! Open to US residents, 18 and older. Just use the handy RC entry form below to enter for your chance to win! 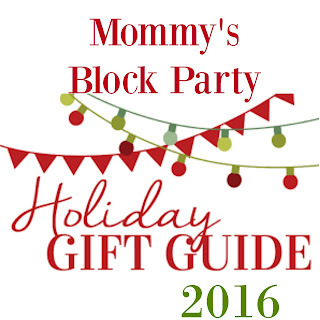 MBP is not responsible for prize fulfillment. See our policies page for details. Special thanks to KORE Essentials for allowing us to check out their new Slim Wallet and for offering this awesome holiday giveaway for our readers. 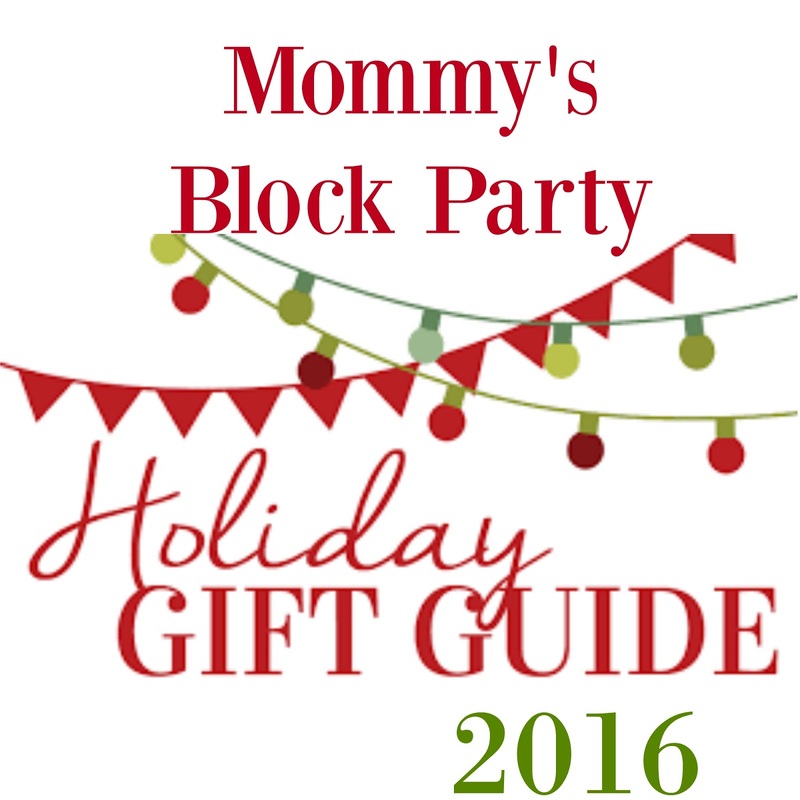 Look for KORE Essentials in our 2016 Holiday Gift Guide! I would love to give it to my dad! I also like "ENDEAVOR BUCKLE & BELT SET"
My husband wants a small wallet. He says his back is starting to hurt from sitting on his big one all day at work!